The recall affects dry pet food formulas with best-before dates from December 9, 2012 - April 7, 2013. Even though your German Shepherd is a domesticated dog, her DNA is still very close to the wolf. Taste of the Wild dog food recognizes this. 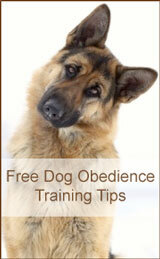 And provides a natural, balanced German Shepherd food that your dog could find "in the wild." Dogs instinctively crave meat. TOTW food provides formulas that satisfy this hard wired preference. Though grains may be beneficial for humans, dogs do not process complex carbohydrates well. They are the source of many dog food allergies and more. Read about the philosophy behind grain free dog food. These tasty, wild formulas include meat from animals hunted by wolves in the wild. These high protein formulas are supplemented with fruits and vegetables to provide antioxidants for immune support and overall health. Their website contains an alphabetical listing of ingredients along with the reason it is included. Because they are grain free, they are highly digestible. Your dog will have no problem assimilating the healthy ingredients. This is what is left over after processing tomatoes. It contains the dried mixture of tomato skins, pulp and crushed seeds that remain after processing tomatoes for juice, soup, or ketchup. It can be used in pet foods as a source of dietary fiber. It also serves to produce firm stools. Taste of the Wild formulas provide a healthy and tasty choice for your GSD. Your dog will get the meat she craves. And you will know that your dog is getting a natural and balanced diet.